MONTRÉAL – Montreal Canadiens owner, president and CEO, Geoff Molson, announced today that the Club and executive vice president and general manager Marc Bergevin have agreed to a multi-year contract extension that will keep him with the organization until the end of the 2021-22 season. Marc Bergevin, 50, became the team’s 17th general manager in Canadiens history on May 2, 2012. Since his appointment Bergevin turned around a team that had just finished with 78 points in the standings, showing the third worst record in the NHL. He wasted no time reshaping the club’s hockey operations and the team on the ice, making the Canadiens a playoff team and a legitimate contender in each of his first three seasons. 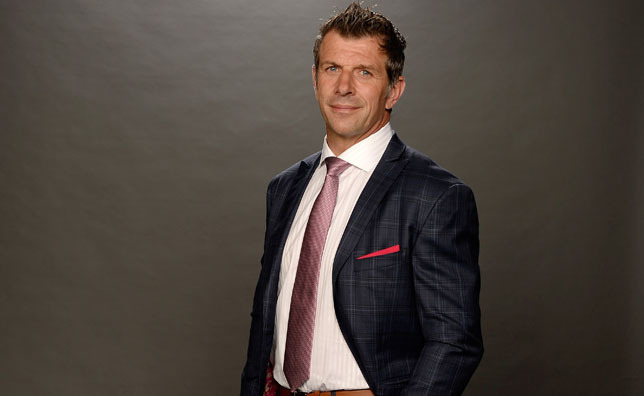 Since Bergevin took over as general manager, the team played 234 games, including this season, recording 141 wins (141-68-25) and posting a .656 winning percentage in the regular season, placing the Canadiens fourth in the NHL and first in the Eastern conference. Since 2012, the Canadiens are tied for third in the NHL for the number of wins. “I am very pleased to announce that Marc accepted a multi-year contract extension and that he will remain our general manager until the end of the 2021-22 season. This new agreement brings added stability for our organization and particularly for our hockey operations. It enables us to continue our efforts in giving our fans a winning team”, said Geoff Molson. “Marc is an excellent general manager who quickly made an impact in the league with his leadership skills and his ability to identify the needs and find the personnel to assemble a championship team. I am very pleased with his work and the results he has achieved since his appointment as general manager”. Despite a shortened 48-game schedule in 2012-13, Bergevin assembled a team that rose to the top of its division with 63 points, second in the East, behind only the Pittsburgh Penguins. The following season, in 2013-14, the Canadiens had a 46-28-8 record earning 100 points in the standings for the first time since 2007-08. Last year, Bergevin’s third as the Canadiens GM, the team recorded 110 points, marking the first time since 1987-1988 and 1988-1989 that the team earned 100 points or more two consecutive seasons. Last year’s harvest of 50 wins was the most by the team since the 53 wins recorded in 1988-1989. Under Marc Bergevin the team made the playoffs every year. In that three-season span, the Canadiens played 34 playoff games, winning three series, ranking fifth in the league for the number of series won and fourth for the number of series (6) played in the past three seasons. In the Eastern conference, only the New York Rangers, with 56, played more playoff games than the Canadiens since 2012-13.